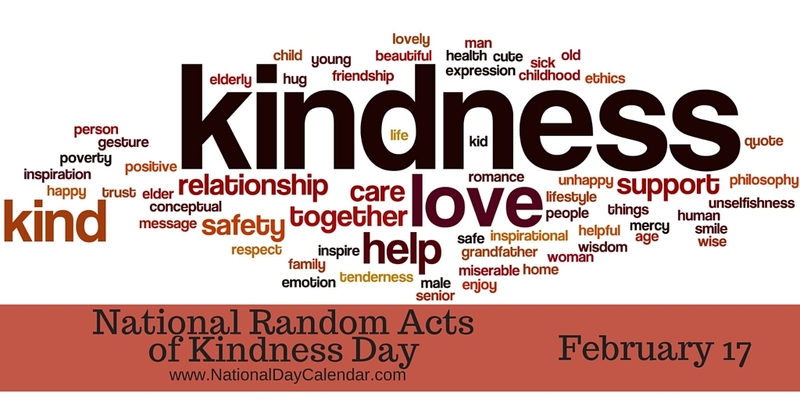 Today is National Random Acts of Kindness Day and I am returning to my blog after a long hiatus…self imposed. Kindness is something that when we experience it makes us feel surprised and happy. In some ways, it may just make our day or even our weekend. Think about when you have had someone, friend or stranger go out of their way to do something nice for you. Try to capture that feeling. Now imagine passing that feeling on to someone else. My wish is that we carry this kindness forward and try to do something kind no matter how small each and every day. I hope that this weekend is a good one. Here in the Chicago area we are getting an early taste of Spring! Nature’s random act of kindness. Another story I would like to share is one of kindness built into the job of a New York baker, who works at God’s Love We Deliver. Wow! If we could only look at our work this way no matter what it is we do. It is tempting to say Mr. Piekarski is the man who has baked a million cakes, but that figure is a fraction of the sweets he has baked and sent on their way. For almost 26 years, Mr. Piekarski has been the pastry chef for God’s Love We Deliver, a charity that prepares meals for people who are too sick to shop or cook for themselves — 19 million meals so far. This entry was posted in Family, Fun and tagged acts of kindness, kindness, Random Acts of Kindness, weekend by llpitlwp. Bookmark the permalink.